Are you slogging through your workouts in these dog days of summer in the hopes that all of this hot-weather exercise will earn you extra fitness points come fall? You may be in for a sad surprise. 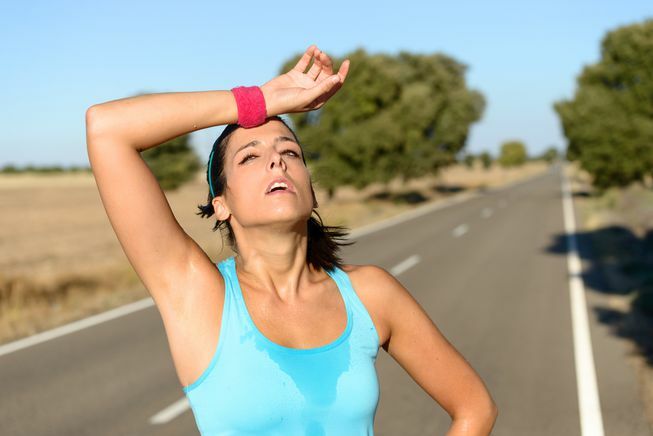 A new study found that exercising in the heat may not be giving you the benefits you think it is. In fact, you may be better off moving your workouts indoors until those temps come back down. For the study, which was notably small, researchers recruited 36 participants and took tissue samples before and after their workouts in hot (91 degrees Fahrenheit), cold (44 degrees F), and temperate conditions (68 degrees F). Their initial results showed that when exercisers did their workouts in the heat, there was no development in the mitochondria. “In fact, the response [in heat is] about the same as if no exercise had occurred,” lead researcher Dustin Slivka, director of the Exercise Physiology Laboratory at the University of Nebraska at Omaha, said in an interview with the Huffington Post. It’s important to point out that these results were compiled after just one workout. Researchers are planning to continue tracking the exercisers to see if a period of heat acclimation might show more promising results in the mitochondria. They hope to publish their research in 18 months, after they’ve had time to follow the participants for longer periods of time working out at various temperatures. But at the moment, they noted that exercising in cool or room temperatures might just be more effective than working out in the heat. Should you use this study as an exercise to table your workouts until the fall? Nope. But if you are melting in the heat, you might consider this verification that it’s time to move your next workout indoors.